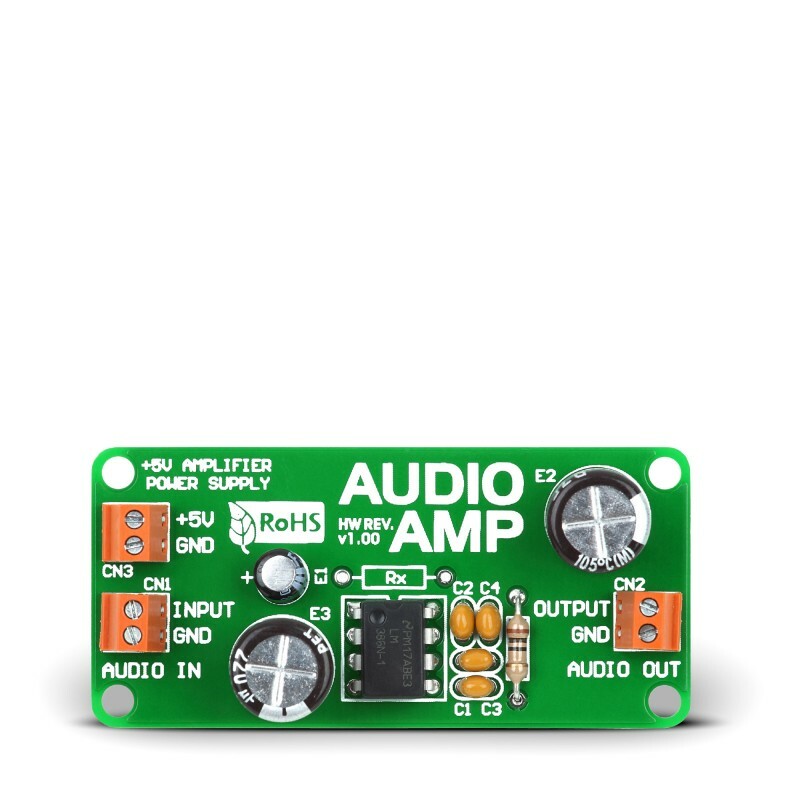 The AudioAMP Board features an on-board power amplifier LM386 designed for use in low voltage consumer applications. The quiescent power drain is only 24 milliwatts. The board can be connected to your prototype device via on-board screw terminals. 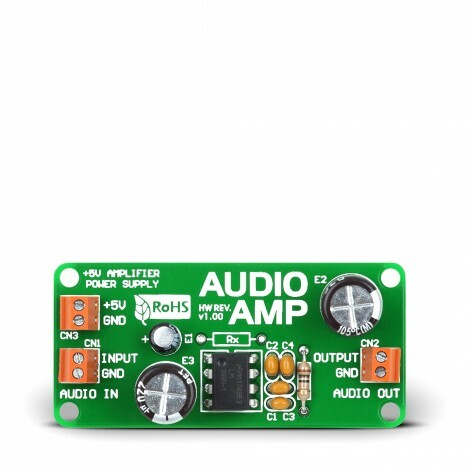 The AudioAMP Board features a power amplifier LM386 designed for use in low-voltage consumer applications. The gain is internally set to 20 to keep external part count low. The gain can be increased up to 200 by adding an external resistor and capacitor between pins 1 and 8.